The K8NGP is coax cable that should only be used with no-ground-plane antennas. 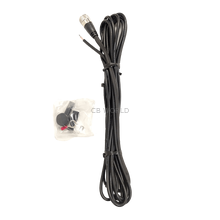 This coax cable will not work with any standard ground plane dependent CB antenna. Installation Note: You will want to slide the weather cap onto the bare coax end, then the shrink tubing. Next, you will insert the bare lead into the ring connection and crimp (or solder) on. Then heat the shrink tubing so that the space between the ring connector and the coax is sealed/protected. Connect to your mount then slide the weather cap over the ring connector for additional protection. Good arteries are important to your heart, like good coax cable is important to your radio. It is important to get the correct coax for your application. 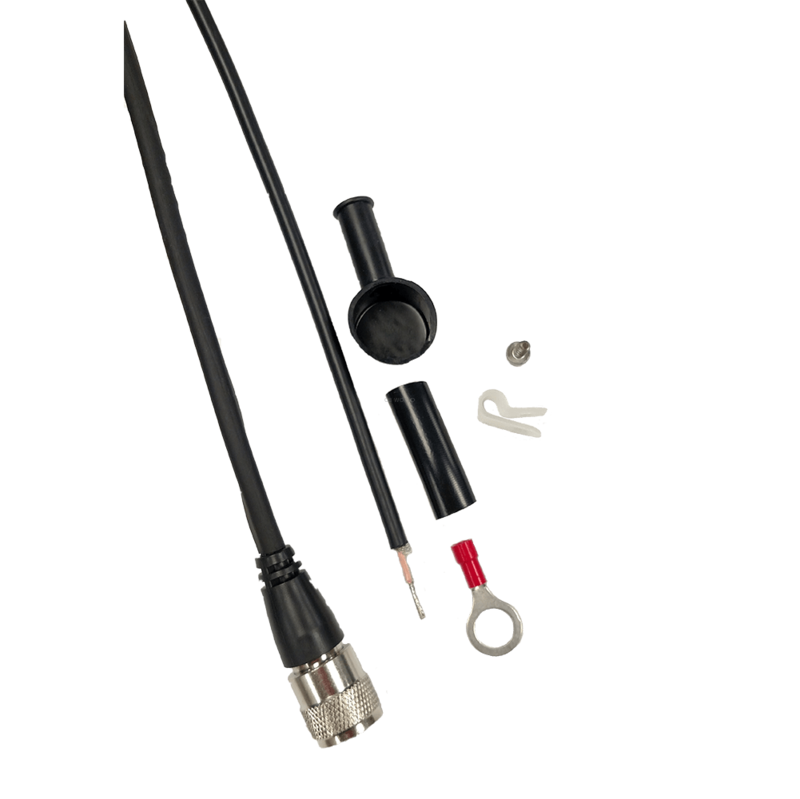 The NGP systems ONLY use the center lead of the coax to feed the antenna. The shield side of the coax is used to form the ground plane that all transmitting antennas require. Generally, this part is for replacement purposes (in the case of a damaged cable assembly from one of our no-ground-plane kits) or for those who may be making an NGP kit while using a mount not found in one of our NGP kits. There are four primary components to a NGP antenna system ... the NGP antenna, the NGP coaxial cable assembly, the stud mount and the primary mount. The first three items are mandatory. As long as the primary mount has a 1/2-inch (25mm) hole to accept the stud mount, it will suffice. Shielding coverage that averages 95% to protect against RF leaks and interference. 100% foil shielding to eliminate leakage. 95% braided copper shielding over the foil for double protection. Performance that exceeds any similar product. These assemblies are made from the same great coax cable as Firestik's mobile assemblies. Each is terminated on one end with a PL-259 while the other end is terminated with a no ground plane assembly. (K-8 shown) This coax is good to use for your no ground plane system. Remember that it is important to have NGP coax for your NGP application AND that you also have a NGP antenna for your NGP application. For more information on when a NGP system is recommended, see our article in our Help Center! The NGP antennas may look the same as a standard GP antenna but they work very differently. All of the Firestik fiberglass NGP antennas have a yellow band near the base of the antenna. They can also be identified by the length of the close-wound section of the antenna at it's upper end. Using no ground plane antenna cable for a traditional antenna (and vice versa) will give you high SWR problems. If you already have a NGP coax and need to extend it (possibly needing a KPL258X connector), you can do so by using RG8X coax but keep in mind that you will have some loss. Kalibur coax has 95% shield and is the coax we would recommend. Most of the NGP kits have specialized RG58 coax. If you cannot extend the coax for your NGP system or can't make an NGP setup work for you, you could install a metal plate to create a ground plane and use a standard antenna. If we are out of stock, check out the NGPC1!